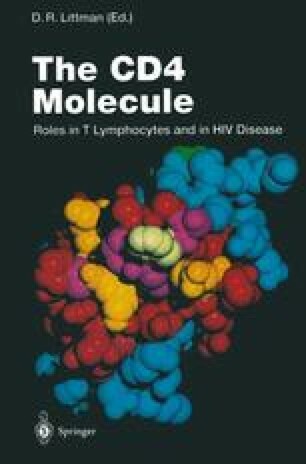 CD4 is one of the plethora of glycoprotein and glycolipid antigens expressed on the surfaces of lymphocytes (Barclay et al. 1993). Many of these antigens are involved in the development and control of lymphocyte function and, as a consequence, their expression at the cell surface must be tightly regulated. Regulation can occur either at the levels of transcription and translation (see, for example, Sawada et al. 1994) or, alternatively, through the posttranslational activities of the exocytic and endocytic pathways. Here we discuss the processes that operate posttranslationally. In particular we review the interaction of CD4 with the endocytic pathway and discuss how the endocytic properties of CD4 may: (1) function in regulating T cells, and (2) relate to broader issues of membrane trafficking.